Nottingham StrEAT is coming, a new street market incorporating Arts, Food & Drink and Street food with community activities and an evening StrEAT Bistro, managed by Tiger Community Enterprise and taking place in the Lace Market, Nottingham City Centre. The crowdfunding campaign for seed funding has been launched on Indigogo. Taking place Friday 1st to Sunday 3rd November, Nottingham StrEAT will bring together a range of independent businesses, showcasing a variety of locally produced products, with gifts, homeware, food, drink, jewellery, art, amongst the selection. 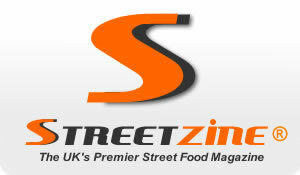 Hot food will be served by a range of innovative streetfood vendors. Activities and demonstrations will be running over the weekend with contributions of some fabulous local social enterprises. The streetfood theme carries through to Saturday evening, with the Lace Market Square being closed off and transformed into a StrEAT Bistro. A 3 course meal will be enjoyed by diners, washed down with the best of local Real Ales, ciders and wines. Entertainment will be provided by some exciting new talent. ‘This is a collaborative event, bringing local businesses, social enterprises and organisations together to show the fabulous creativity happening in and around Nottingham, particularly in the Lace Market and wider Creative Quarter. As a collaboration it seemed a good fit to use a crowdfunding campaign to raise the funding required to get the project off the ground. We want this event to engage the wider community and as such all contributors to the funding campaign will become Nottingham StrEAT champions. We hope that this will become a monthly event on the Nottingham calendar.’ Says Toni Jarvis, Project Director at Tiger Community Enterprise CIC. Indigogo allows all types of people to raise funds for project close to their heart. Contributors to the Nottingham StrEAT campaign will receive rewards such as a recipe booklet, a Limited Edition T-Shirt, goodies or even free tickets to the StrEAT Bistro! The Lace Market is a vibrant area of Nottingham City. Lots of creative businesses are migrating to the area, along with those businesses that have been trading around the Lace Market and Hockley area for years. Often forgotten on the shopping route between the 2 main shopping centres and the Market Square. This is an opportunity to shine the spotlight on the area and remind people of the full shopping experience they can have when visiting Nottingham City. Tiger CE are inviting people to participate with Nottingham StrEAT, this is an event for everyone to feel part of. Supporters, traders, social enterprises and organisations can keep in touch via social media, the website or contacting them directly to be added to the mailing list.